England are fresh off a a straightforward 3-0 victory over USA on Thursday night, a friendly that marked Wayne Rooney's final appearence. The Three Lions shocked Spain 2-3 on the road in their previous action in the competition and now only goal difference separates the sides after Croatia also recorded a shock victory over Spain. As it stands, Spain top the group on six points. However, losing their last two has opened this one up. Behind the Spanish sit England and Croatia, on four points each. That means either team could win the group with a victory in this one. ENgland and Croatia two teams played out a dull 0-0 last month behind closed doors in Rijeka, a result that wasn’t enough to banish the World Cup heartbreak thanks to Mario Mandzukic’s late stoppage-time winner. Harry Kane, who has now failed to score for England in seven games, will spearhead the attack, flanked by Raheem Sterling and Jesse Lingard. As back up option, Gareth Southgate can count on Marcus Rashford and Jadon Sancho. Dele Alli will also be hopeful of retaining his starting spot ahead of Ruben Loftus-Cheek, while Eric Dier and Jordan Henderson look sure starters in midfield despite Ross Barkley is pushing for a start. It could be all change in defence with Kyle Walker, Joe Gomez, John Stones and Luke Shaw set for recalls. Croatia will draw confidence from their 3-2 win over Spain last time out and still have the chance to top the group with a win here, as well as being relegated. A 0-0 draw would hand Spain top spot and relegate Croatia while A score draw would hand Spain top spot but relegate England. The Blazers have been poor on the road after the World Cup, having drawn 1-1 with a weakened Portugal side before to be hammered 6-0 by Spain. Ivan Rakitic will miss the game after picking up an injury against Spain, meaning that Mateo Kovacic and Marcelo Brozovic will join Luka Modric in the middle of the park. Ante Rebic and Andrej Kramaric should get the nod in attacking positions, while back-up left-back Tin Jedvaj will retain his starting berth after scoring a brace against the Spaniards. Veteran players such as Danijel Subasic, Mario Mandzukic and Vedran Corluka have all retired after the World Cup. Get 17/1 England to beat Croatia with Redbet! Here at Bet and Skill, we compare odds from all the Top UK Betting Sites and you can find below the highest prices on the England v Croatia match winner market. Wanna know which bookmaker is offering Best Odds Guaranteed on football, which are the enhanced odds for today or which are the bookmakers with the best odds on average? We got you covered! Get 33/1 England to beat Croatia with Betfair! New Customers can get England at an enhanced 33/1 to beat Croatia. Max Stake £1. Winnings paid in free bets, valid for 7 days, only deposits with cards/Paypal count. Exchange and multiple bets excluded. T&C’s Apply. 18+|Gamble Aware. Our experienced football tipsters have made huge profits on the UEFA Nations League in recent times and you can find below our free betting tips on this clash! We also specialise in betting strategies and matched betting here at Bet & Skill and also bring you the best BTTS tips across all football competitions every day too. We have tons of International Friendlies betting tips or UEFA Nations League predictions. Don't miss them! Our football betting tips are thoroughly researched by our professional tipsters here at BetAndSkill. They crunch the numbers and deeply analyse the form for every single fixture. Every match has a free betting tip and we boast the highest ROI of the internet. 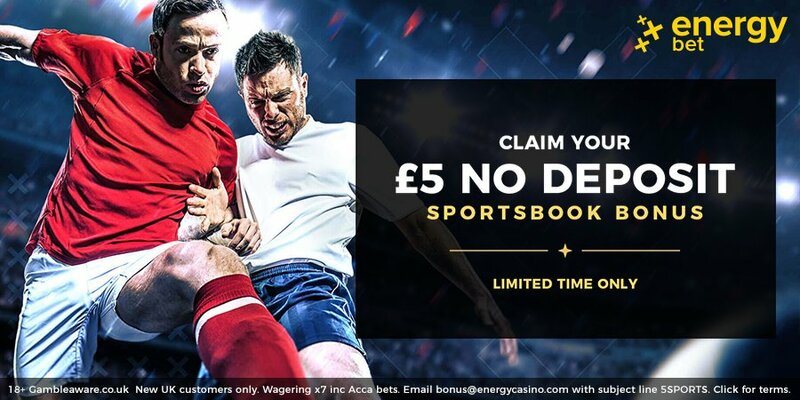 Go straight to our no deposit free bets page, receive tons of completely free bets and combine them with our predictions on England vs Croatia! Ladbrokes offer 70/1 England, Spain & Belgium + £5 free bet! "England vs Croatia Betting Tips, Predictions, Lineups & Odds (UEFA Nations League - 18.11.2018)"